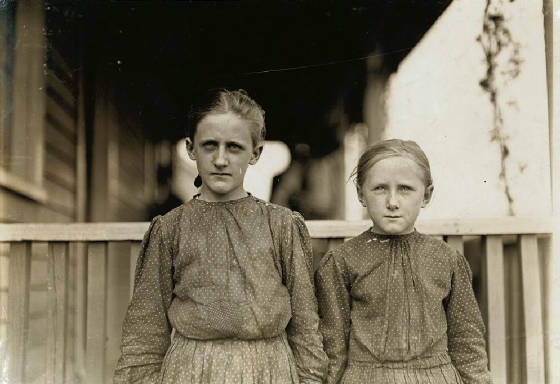 In the fall of 2005, I was hired by author Elizabeth Winthrop to find the descendants of Addie Card, a 12-year-old cotton mill worker in Pownal, Vermont, who had been photographed by Lewis Hine in 1910, for the National Child Labor Committee. Hine, who died in 1940, was one of the great photojournalists of the 20th century. Winthrop had recently completed Counting On Grace, a novel inspired by Addie’s photo. She wanted to find out the real story of Addie, who had been identified by Hine as Addie Laird. Previous attempts by others had come up empty. Amazingly, Winthrop was able to quickly determine that Addie’s last name was actually Card. With that information, she learned that she had married at 17. But after the 1920 census, Winthrop could find no record of Addie or her husband, or if they had any children. That’s when she turned to me for help. Within two weeks, I had located and contacted Addie’s granddaughter. In two more weeks, I was standing before Addie’s grave. Just after Christmas, Elizabeth and I met and interviewed Addie’s great-granddaughter, descended from the adopted daughter of Addie’s second marriage. After several weeks of research, I found Minnie’s death record, and obtained a copy of her obituary. She had died in 1973, single with no children. A nephew, Cramer McDaniel, also of Gastonia, was listed as one of the survivors. In the Internet white pages, I found a man with the same name living in Gastonia. I called him, and he was the right person.